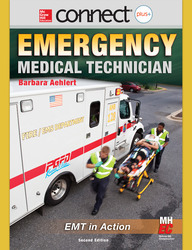 Barbara Aehlert is the President of Southwest EMS Education, Inc. in Phoenix, Arizona and Pursley, Texas. She has been a registered nurse for more than 30 years with clinical experience in medical/surgical and critical care nursing and, for the past 18 years, in prehospital education. Barbara is an active CPR, First Aid, ACLS, and PALS instructor and takes a special interest in teaching basic dysrhythmia recognition to nurses and paramedics. She is a consultant with the Southwest Ambulance paramedic program in Mesa, Arizona, and an active member of the Pursley, Texas, Volunteer Fire Department.